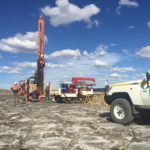 The company, which launched hydraulic mining at the Century tailings deposit last week, will now focus on ramping up operations into one of the top 10 producing zinc mines in the world. It believes the first production of concentrate under its ownership demonstrates the initial proof-of-concept for large-scale slurry flotation of ore through the historic site’s existing processing facilities. New Century’s next activities will be to optimise the quality of the concentrate through the zinc cleaner circuit, followed by zinc and silver recoveries, and plant throughput. The company added the hydraulic mining operations had “made excellent initial progress,” with activities showing the tailing deposit was capable of rapid ramp up to target slurry density. “Importantly, this provides a consistent slurry feed quality for flotation of tailings to occur within the Century processing plant,” the company stated. 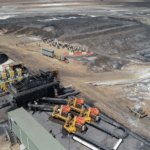 New Century plans to ramp up annual production at Century to an estimated capacity of 264,000t of zinc and 3Moz of silver by the fourth quarter of 2019. The mine has an initial mine life of 6.3 years. In addition to the hydraulic mining operations, the restart includes upgrades to the multi-train flotation plant, 700-person camp, private airport, mining fleet, grid power connection, 304km slurry pipeline and Karumba port facility. New Century awarded Sedgman a five-year, $110 million million contract to operate and maintain the processing plant, concentrate pipeline and port facility in May. The company has also launched a mine life expansion project at Century. The feasibility study for the expansion is under way, including new drilling targets and an induced polarisation (IP) program. Century’s revival as hydraulic tailings operation has been rapid for New Century. It acquired the site from MMG in early 2017.